Swift Revenge Blasts Into Orbit! 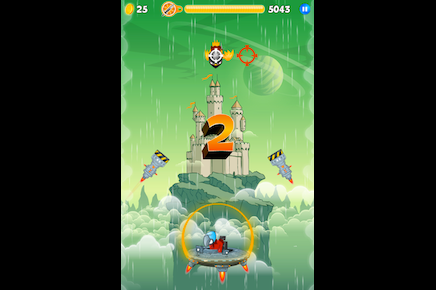 Dive through insane vertical-scrolling levels packed with fiendish enemies, fearsome bosses and ingenious obstacles on a quest through space and time to defeat the evil megalomaniac, Doctor Crow! 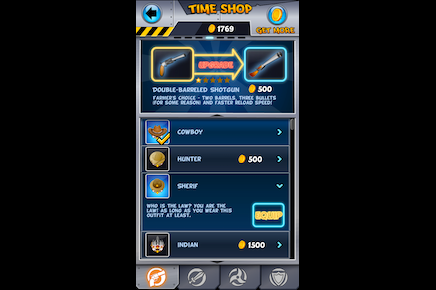 Unlock super skills and powerful weaponry to overcome addictive new challenges on every fast-action stage! 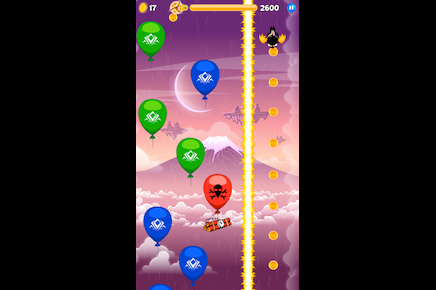 Stunning Themed Worlds – Each challenging new level features new enemies, new weapons, new challenges, new everything! 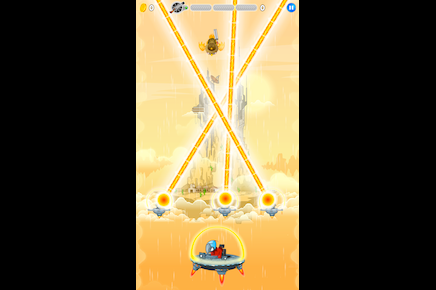 Devastating Weaponry – Each new weapon has new abilities and tactics. Want to blast through obstacles with a shotgun? No problem! How about overcoming enemies with a laser saber? Here you go! Dress to Impress – Did we mention there are tons of cool costumes you can unlock to make Swift look even more awesome? Epic Boss Battles – Every boss battle is unique, testing your reflexes and skills plus new abilities you’ve gained through each new world! A Story to Remember – Do you want an epic story with deep characters and plot twists? 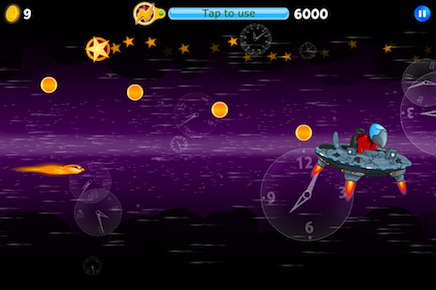 Well, Swift Revenge offers a bunch of crazy animals, madcap weapons and hilarious dialogue. Portrait AND Landscape! – One perspective isn’t enough for a legendary hero like Swift. Rotate your phone and prepare for warp-speed! Compete and Compare – Race friends to achieve the highest Game Center leaderboard position for each world, and for all worlds combined! 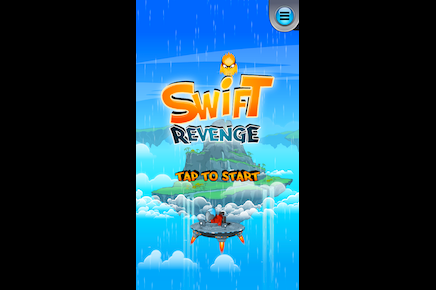 Prove Your Skill Level – Swift Revenge is really easy to learn, but gosh, is it hard to master! Feel your thumb muscles getting stronger and stronger as you progress further and further in the game!